In an effort to better understand our Earth and it’s volcano’s through data, the website a Digital Volcano was created. It is a pleasure to scroll around on this single pager website. 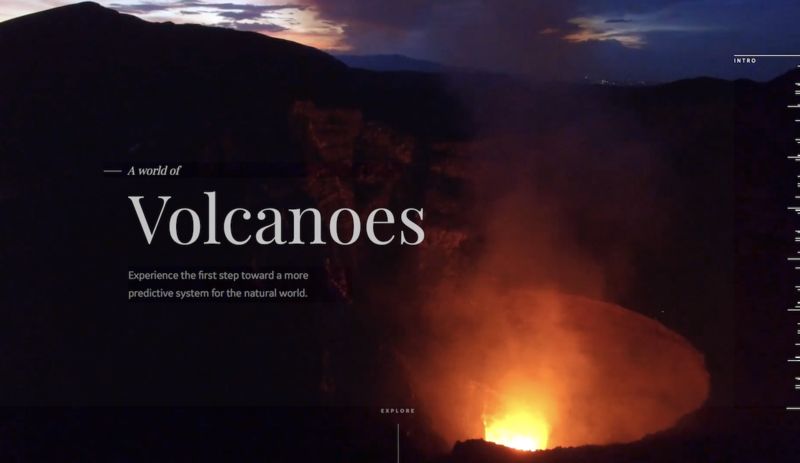 Visually stunning video’s and interesting 3D animations to visualise the data are blended into this site to portray a digital journey into an active Volcano in Masaya, Nicaragua. Definitely worth your time to check this website out! We are trying to spread great, interesting, creative, and useful webdesign to anyone who are interested. We wish to create an archive of websites which can be used by anyone for what they want and need. The goal would be to be a source of inspiration to designers on all levels, so we can help spread the possibility of a world wide web with better webdesign than today. © 2017 WDS Designs, All Rights Reserved.